Well as I promised, here's a post about one of many pregnancy problems ( stretch marks ) they appear very fast and itch! it differs from body to another and to maintain a healthy weight gain while pregnant it is always recommended that you watch your weight and not gain weight very fast, as that will most likely affect your body and your skin will be definitely affected and stretched quickly leading to the not so lovable stretch marks. 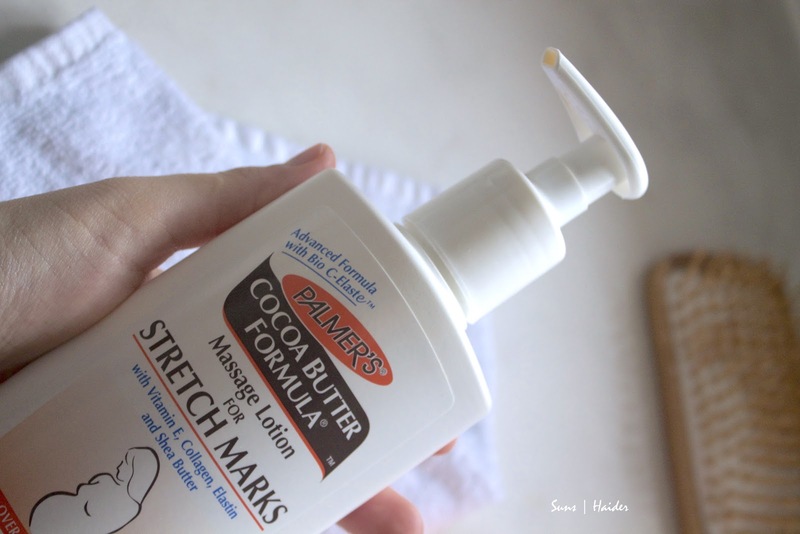 After asking around and googling I found a couple of products I thought of trying: Palmer's cocoa butter formula massage lotion for stretch marks, Palmer's cocoa butter formula jar and Bio-Oil. 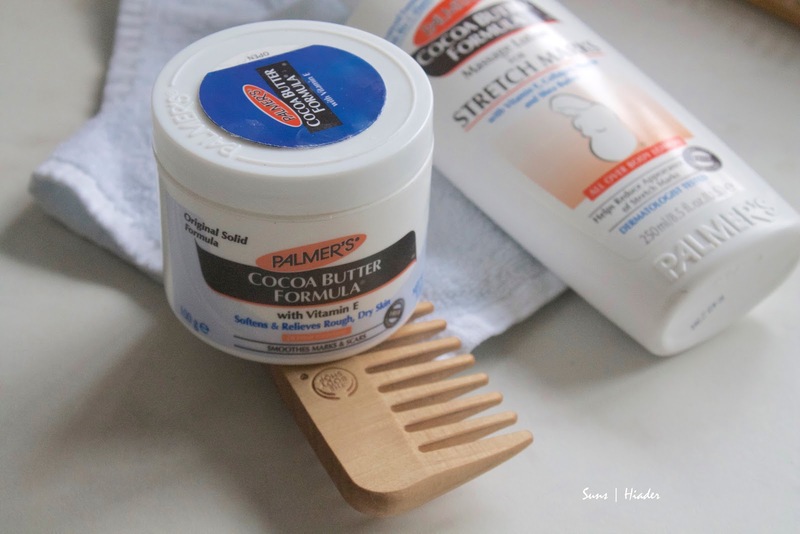 Palmer's cocoa butter has such a beautiful smell, and very easy to apply unfortunately using Palmer's cocoa butter massage lotion didn't work much for me, as my skin didn't absorb it quickly plus after drying it left behind a residue that was quite annoying! the butter jar is quite much the same and is recommended to use on dry skin, it contains VitE and is absorbed quite fast, but having a butter formula it still has that buttery touch on your skin, which I personally don't like on my tummy, and I didn't notice any difference after using it for weeks, red itchy stretch marks appeared on my love handles, by then I realised I need to try something else! regarding price, you can purchase both under 10 pounds. 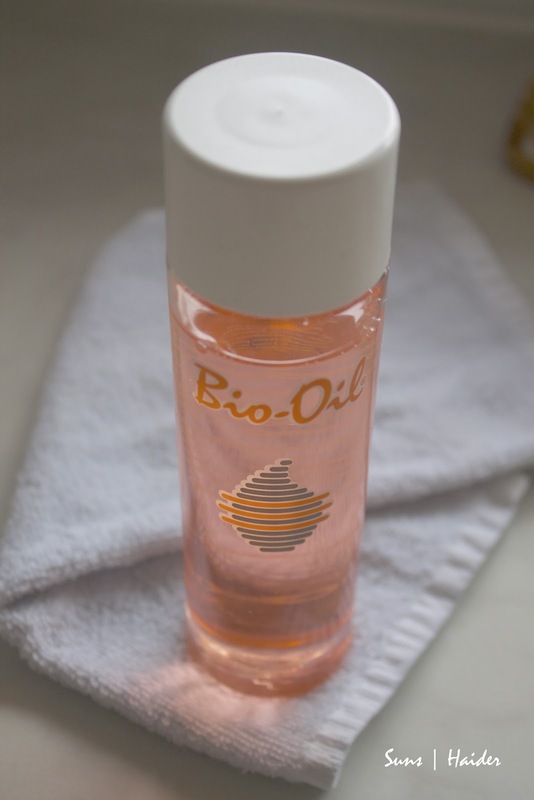 Bio-Oil was one of the most popular products to find around, I found very good reviews from almost everyone who ever used it, which made me love to try it out, I use it twice a day ( sometimes I forget ) applying it in a circular motion, my skin absorbs it very fast and it smells nice too!, money wise 200 ml is around 10-20 pounds, but for a great product I would even pay more. 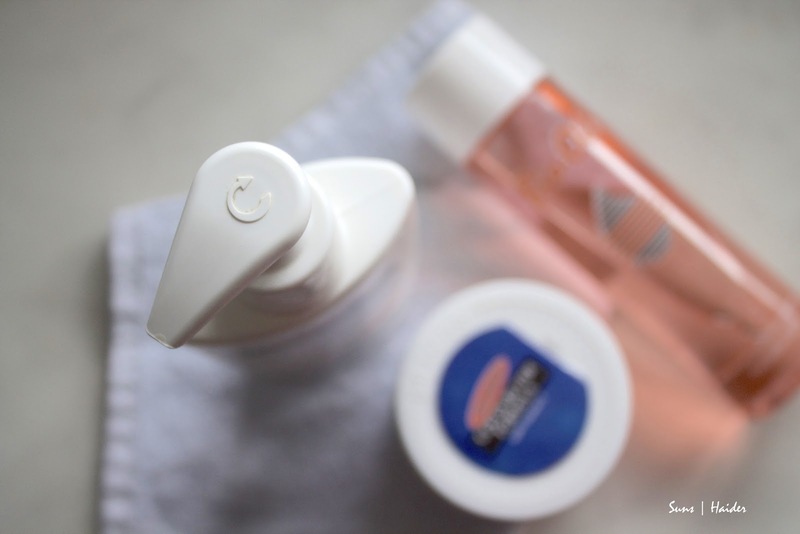 It is definitely the best for me, even the red stretch marks that appeared are slowly turning into pink after using it for just three weeks. Many people call pregnancy stretch marks tiger marks, I agree pregnancy is a very lovely stage in your life, no matter how much pain you're going through stay strong, and enjoy the making of your beautiful angel, yes you are a tigress a beautiful one, don't be so hard on your self, no matter how many stretch marks you carry, remember you are carrying a much beautiful gift inside.